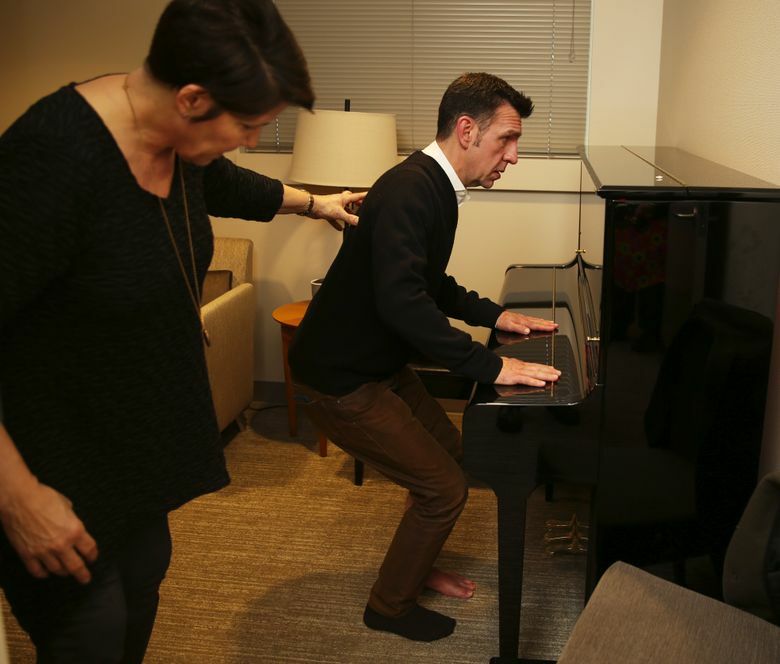 The story of how members of the Seattle Men’s Chorus and Seattle Women’s Chorus helped their new artistic director, Paul Caldwell, after he was hit by a car in Chicago shortly before he was to start work here. It’s strange what you remember of the time before — the moments before — your life changes forever. Paul Caldwell remembers the lattice crust on the chicken potpie his friend made for dinner the night of April 3. He remembers leaving with his satchel filled with sheet music. He remembers walking halfway across an intersection when he heard car tires screeching. Caldwell, then living in Chicago, was struck by a driver police later identified as a gang member speeding from the scene of a crime. The driver never stopped. Caldwell’s left leg got caught in the wheel well and went around three times. His left arm had tire tracks on it. His right arm was torn open and shattered. Miraculously, his head landed on the satchel that he had been carrying. In other words, music saved him. 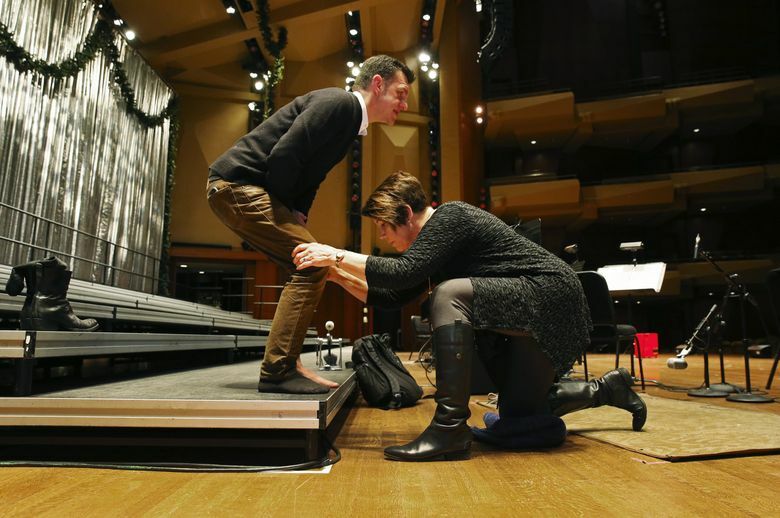 And it would sustain him once he got to Seattle, where just weeks before the accident, Caldwell had accepted a job as the new artistic director of The Seattle Men’s Chorus and The Seattle Women’s Chorus. “Every step I have taken has been toward this,” Caldwell said of “Silver and Soul,” this year’s annual Christmas concert series at Benaroya Hall. The concerts — which include performances in Everett and Tacoma — run through Dec. 22. He will do that with the help of the chorus members, who came to Caldwell’s aid before he officially took over. When chorus member Michael Hughes learned that Caldwell couldn’t drive his car to Seattle, he flew to Chicago and drove it back for him. Others have done everything from buying his groceries and driving him to medical appointments to reattaching his oven door. Then one day in a rehearsal, he was gripped with pain, and lay down on the floor in the back of the room to stretch his leg. Moments later, Warren was standing over him: “You want me to help you with your Dorsey stretch?” she asked. And so she did, all the while singing her part. Warren now helps Caldwell prepare for the stage before every performance. Before coming to Seattle, Caldwell spent two months in a nursing home recovering. He used a wheelchair for five months. For a while, he needed 24-hour care. Caldwell replaced longtime director Dennis Coleman, who retired earlier this year. 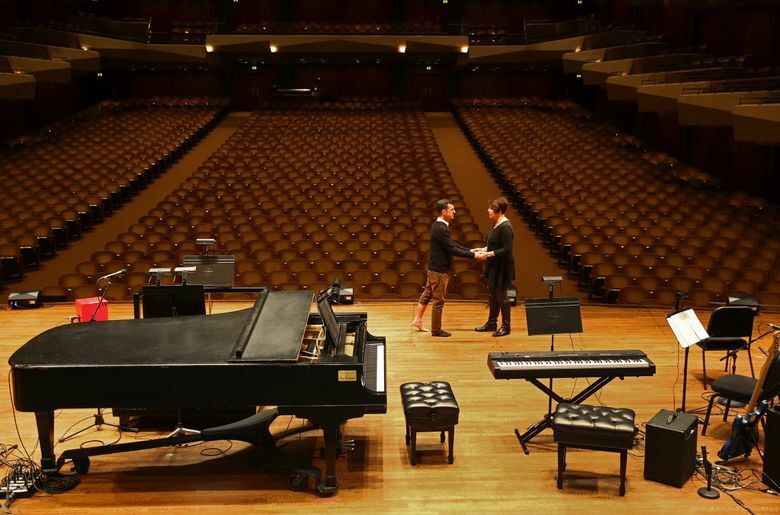 He applied for the job on the recommendation of friends, and when he learned he was a finalist, Caldwell flew out to Seattle last December to see the chorus perform without telling anyone he was here. The concert will include the 250-member chorus singing holiday classics like “Sleigh Ride” and “O Come, All Ye Faithful,” but will also feature gospel songs, a David Bowie tribute and a karaoke singalong. “Because of what happened to me, this particular concert is more focused on my musical journey,” said Caldwell, a native of the rural town of Chester, S.C. “I have an affinity for American roots music. Southern sass and the way that music makes me feel.